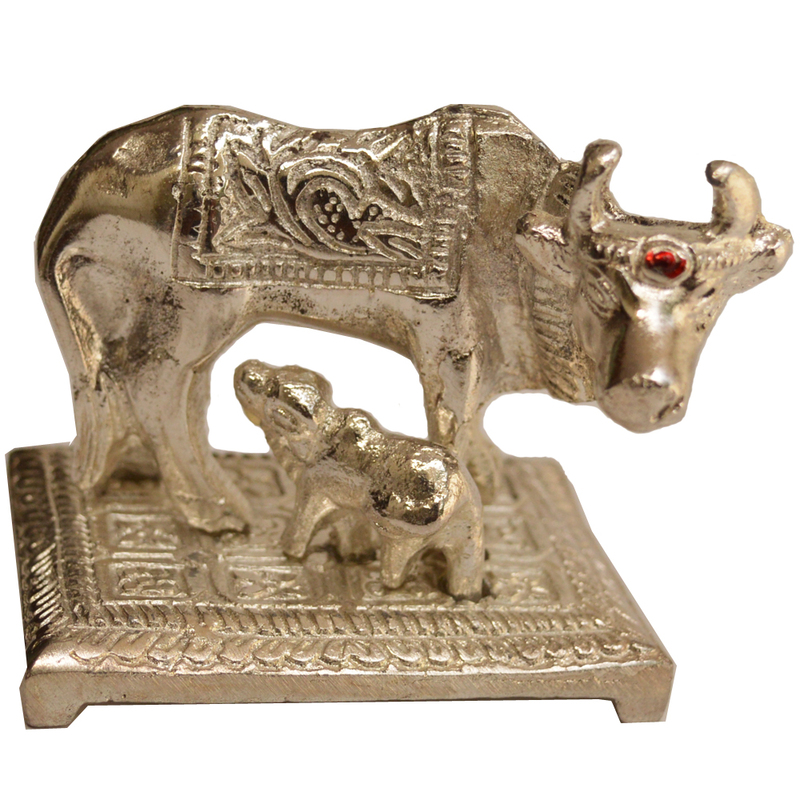 The intricacy of detailing makes this White Metal Decorative Cow and Calf Figurines for Vastu a sight to behold. Moreover, it is highly efficient in Read More..correcting any Vastu shortcoming that might be present in a particular house, while blending seamlessly with the most gorgeous of home decors. Therefore, it serves the dual purpose of being useful by improving the Vastu of the household to usher in peace and prosperity, as well as, aesthetically pleasing for its owners. Show Less..